Personal computers, palm top computers, media players and cell phones provide instant access to information from around the world. There are a wide variety of options available to make that information available to people with visual disabilities, so many that choosing one for use in any given context can often feel daunting to someone new to the field of accessibility. 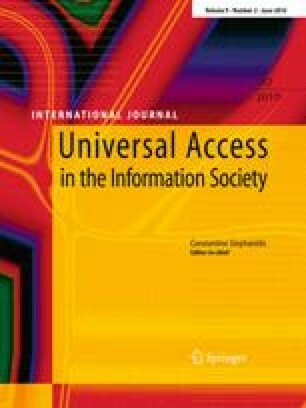 This paper reviews tools and techniques for the presentation of textual, graphic, mathematic and web documents through audio and haptic modalities to people with visual disabilities.